Clear medium ruby, with a medium vague rim. M+ charred wood, dried pine needle, red chili powder and with a little aeration, a hint of tobacco, tar(reduction) and caramel showed up as well. Pronounced plum, juniper, dark chocolate, hard cheese and a hint of toffee. Dry, High acidity, medium+ alcohol, medium+ firm but furry tannin, full body. Plum with Hard Cheese and dark chocolate in the m+ finish and a hint of juniper and tobacco. Can drink now but can be aged for another 3-4 years. now 89 pts, can improve to 92 in about 3 years. 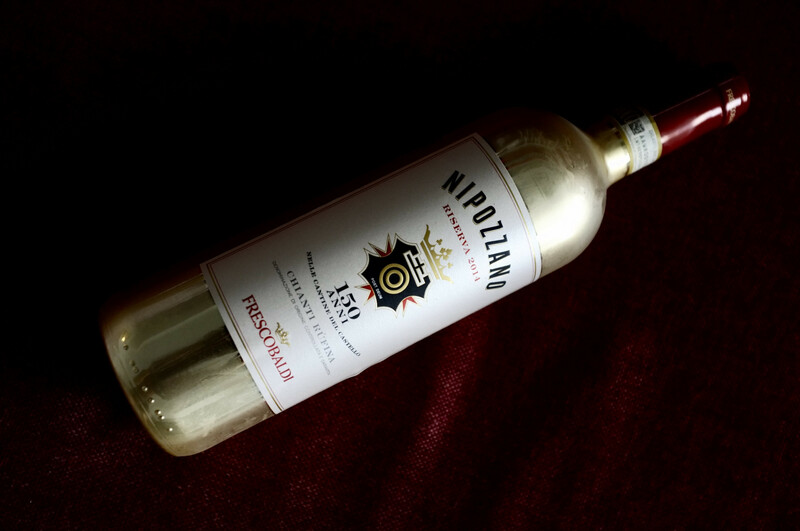 本文图片全部由Lulu和Freddo拍摄并拥有版权。2014, Frescobaldi, Nipozzano, 150 Anni nelle Cantine del Castello, Chianti Rufina DOCG是发布于VinoFreddo.online的文章，不允许被复制于其他站点。2014, Frescobaldi, Nipozzano, 150 Anni nelle Cantine del Castello, Chianti Rufina DOCG is a post from: VinoFreddo.online which is not allowed to be copied on other sites.